High school administrators and career and technical education (CTE) teachers across the country know that preparing their students for the jobs of the future means embracing the new technologies shifting the manufacturing landscape. Cyber-physical systems are combining automation and the Internet of Things (IoT) to bring about a Fourth Industrial Revolution — often known as Industry 4.0 — to create a Smart Factory environment. 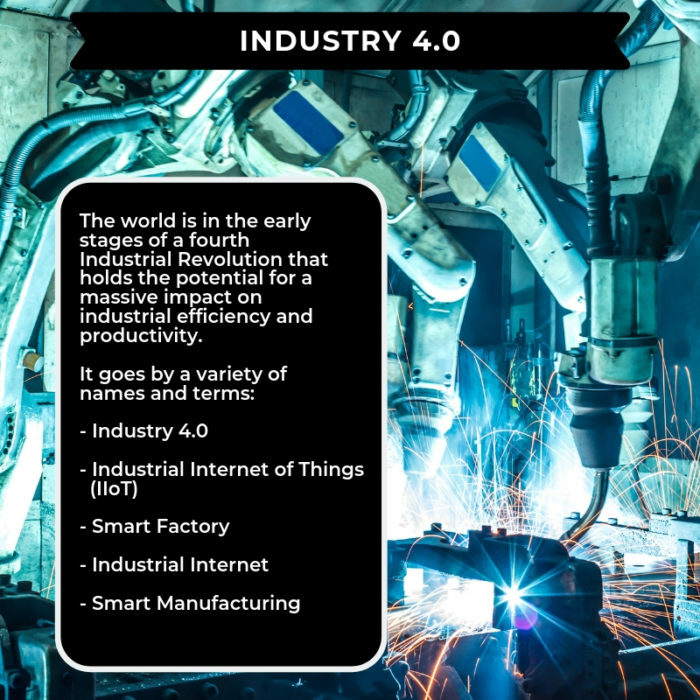 In a Smart Factory, Internet-connected robots, automated machines, and smart sensors located throughout the manufacturing process communicate with each other to generate large amounts of data (called “big data”). This data can then be used not only to monitor current production status but also to predict future maintenance needs. Smart Factories communicate this information directly with production workers, maintenance technicians, and other departments throughout the facility. Additionally, Smart Factories can reach out via the Internet to third-party suppliers to automatically schedule events, such as ordering more materials to ensure production continues without interruption. These advanced technologies are currently changing the workplace, requiring a new breed of highly-skilled worker that can program, operate, maintain, troubleshoot, and repair automated Smart Factory systems. Today’s manufacturers desperately need employees with hands-on Smart Factory skills. They’re looking to educational institutions to help bridge the widely-recognized “skills gap,” but most high schools don’t have training systems in place to teach these advanced skills. 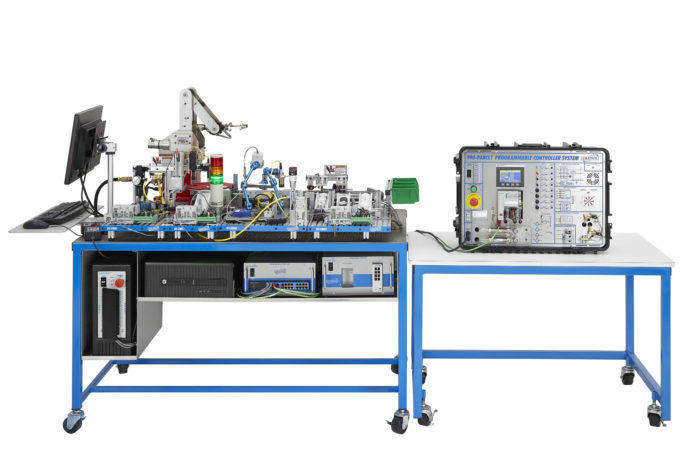 Amatrol’s Tabletop Smart Factory combines a wide variety of Smart Factory concepts and relevant skills into a durable, affordable learning system. Amatrol’s comprehensive, highly-interactive multimedia curriculum features stunning 3D graphics and videos, voiceovers of all text, and interactive quizzes and exercises designed to appeal to learners with different learning styles. In addition to Amatrol’s in-depth curriculum, important hands-on skills are taught via the industrial-quality components that comprise Amatrol’s Tabletop Smart Factory system. The parts of the system combine to form a fully-automated line that teaches the basics of materials handling, identification, and sorting. The system consists of the following major components: inventory feeding station, inspection and indexing station, sorting and distribution station, servo robot station, portable programmable controller system, and five Smart Factory systems: RFID/sensors, barcode, Ethernet, manufacturing execution, and visual communications. 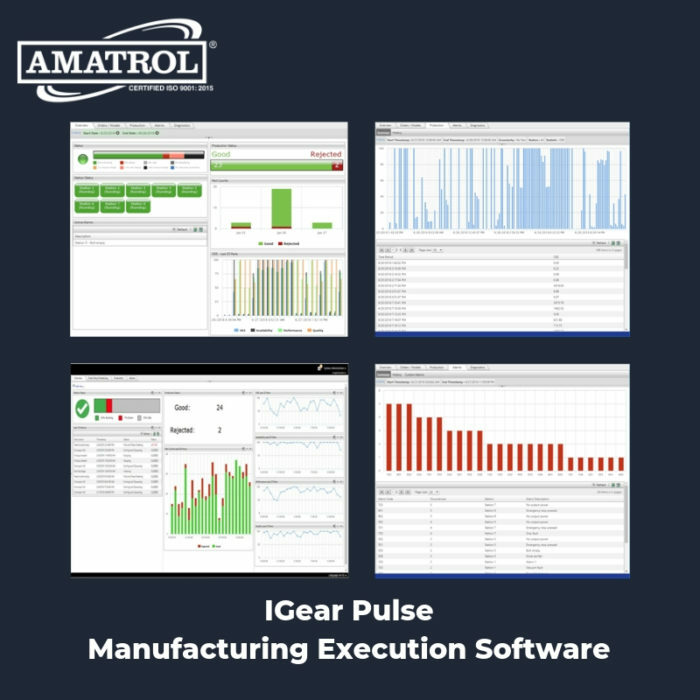 Amatrol’s Tabletop Smart Factory goes beyond basic automation to teach how common manufacturing applications operate with a variety of Industry 4.0 technologies. For example, the RFID/sensors systems features an RFID read station and various smart sensors, such as photoelectric and analog pressure sensors. Users will learn RFID system operation and programming, how to configure an I/O link master, and how to configure and operate smart photoelectric and analog pressure sensors. Likewise, the barcode system will provide learners with hands-on experience operating a barcode reader, including how to maximize scan accuracy, serial communications, and PLC application programming. 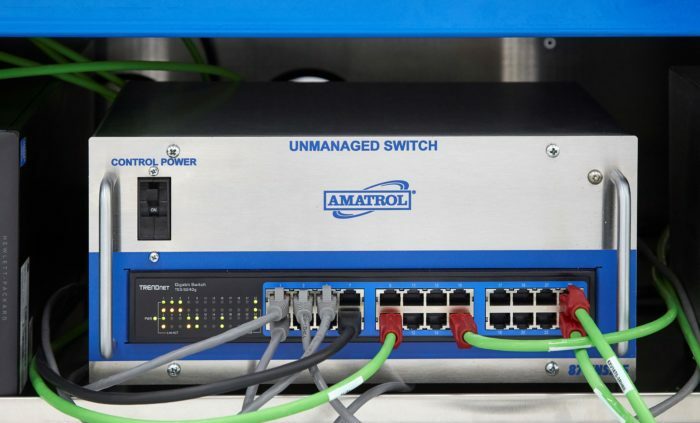 Amatrol’s Ethernet system consists of both unmanaged and managed Ethernet switches. Users will learn about these switches, as well as industrial TCP/IP Ethernet networks, IP addresses, and Ethernet Subnets. Hands-on skills taught include: how to connect an Ethernet network using both managed and unmanaged switches, setting IP addresses of robots and PLCs, transferring PLC programs via Ethernet networks, and monitoring network performance and diagnostics. The manufacturing execution system teaches users production control and monitoring of the Tabletop Smart Factory, including sensor control, order entry, scheduling and schedule status, production statistics, and alarms. 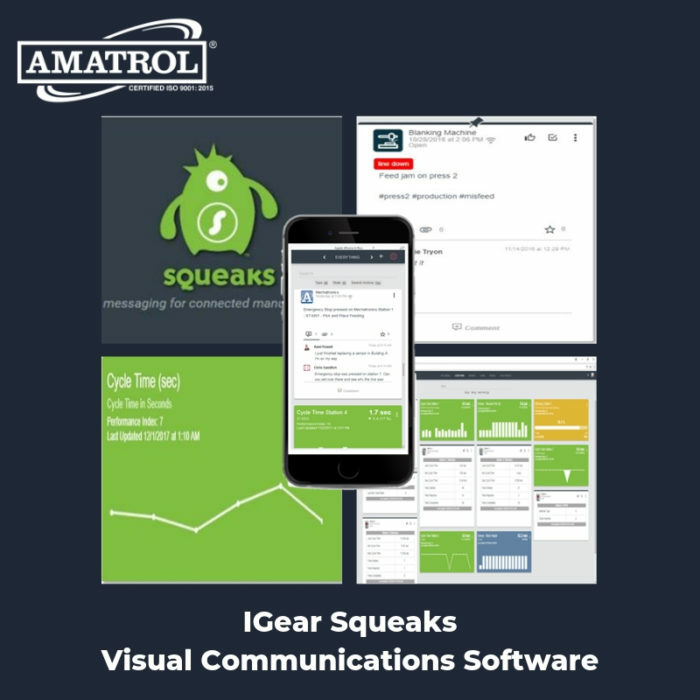 Amatrol’s visual communications system includes visual communications software and a mobile app. Users will learn hands-on Smart Factory maintenance skills, such as the operation and configuration of supervisory control and data acquisition (SCADA) systems and cloud-based maintenance management systems. After more than three decades designing and manufacturing state-of-the-art training systems, Amatrol remains the world’s leader in skills-based, interactive technical learning for industry and education. Those years of experience can clearly be seen throughout the in-depth curriculum and real-world equipment that comprises the Tabletop Smart Factory. If you want to teach your students the hands-on Smart Factory skills they will need to succeed in the highly-skilled, high-paying manufacturing jobs of tomorrow, then Amatrol’s Tabletop Smart Factory is your comprehensive learning solution. No other system can introduce your students to emerging Industry 4.0 technologies and teach necessary hands-on Smart Factory skills like Amatrol does. 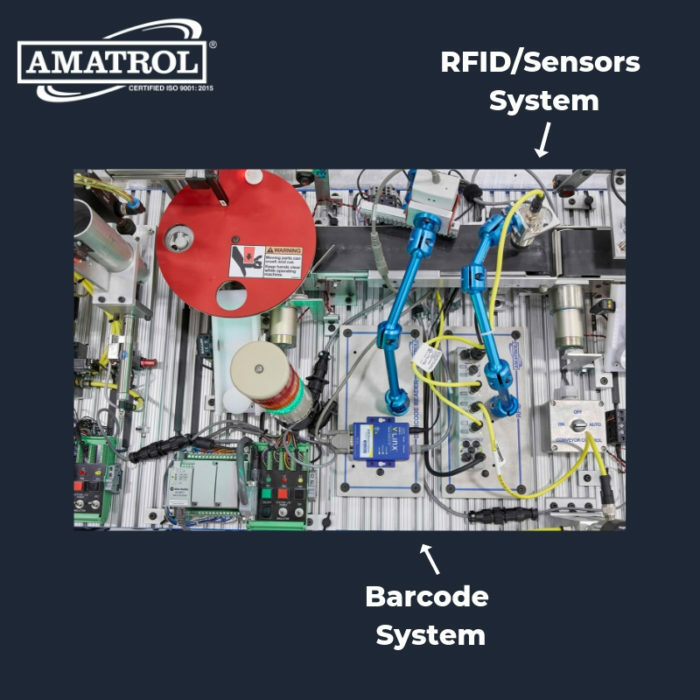 For more information about Amatrol’s Tabletop Smart Factory, contact your Amatrol representative today or visit Amatrol online. About Duane Bolin Duane Bolin is a former curriculum developer and education specialist. He is currently a Marketing Content Developer for Amatrol, Inc. Learn more about Amatrol and its technical training solutions, including eLearning, here and connect with Duane on Amatrol’s Twitter, Facebook, LinkedIn, and YouTube pages.